It’s true. 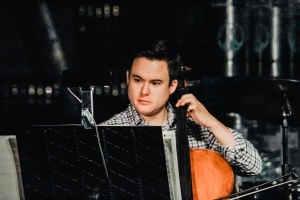 The musicians of String Theory, a Birmingham-based instrumental ensemble, could soothe audiences with a classical baroque composition any day. But at their live concerts, they get crowds up on their feet and grooving to contemporary pop songs that have been arranged for string quartet, acoustic bass and drums. 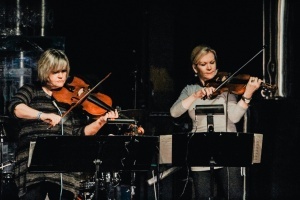 String Theory has been expanding the boundaries of a traditional string quartet since 2005, playing gigs and private events all over the greater Birmingham area. The group is made up of six musicians who are individually masters of violin, viola, cello, bass or drums. The band prides itself on performing music from every genre. According to a biography on the String Theory webpage, the element of surprise is always part of their eclectic performances. For more information about String Theory, or to hear some of their “eclectic” tunes, visit the group’s Facebook page.